As a crafter, cutting mat is indispensable in our arsenal of tools. 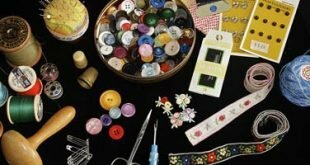 You must cut and measure whether you are sewing, quilting, or even scrapbooking. The second reason is while cutting you also don’t want to damage the surface of your crafting or sewing table. There are much more reasons which I am sure you are fully aware of. 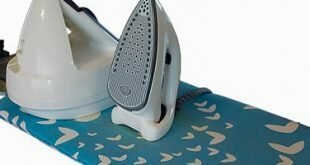 This article would guide you in buying the best cutting mat for your crafting task. I have done some research, reading many reviews, cutting with some of this cutting mat and talking to some users. At the end of this cutting mat review, you will have the top 6 options to choose from, what set them apart, unique features and my ultimate recommendation base on a specific task. To add to it you will also know how to care for your cutting mat. 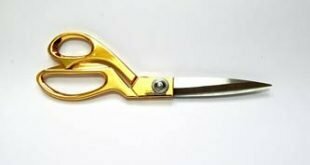 What is the use of a cutting mat? Self-healing cutting mat comes with a healing soft surface made from self-healing materials like polymers and elastomers. These mats are colored most often with vinyl. The difference between this type of mats and the hard-surface cutting mat is that it can automatically repair itself when damaged (usually by cutting knife). How do you clean a self-healing cutting mat? Add 1/5 cup/gallon of almost colorless vinegar. Add any mild dish soap and scrub gently with a soft brush. Thickness: The lighter the better. I will say you should have a cutting mat that is deep enough to protect your working table and flat enough to blend with your working pace. Applicable knife type: Some self-healing cutting mat can only protect your crafting table if only a special type of cutting knife is used. Most often we use a rotary cutter. So, you should buy one that at least works with a rotary cutting set. Color and measurement on working surface: Color is not only for aesthetic but also makes it easier to take measurements. Normally you should pick colors that blend with your working tools and workshop. However, in most cases, the self-healing cutting mat would have some measurement or calibration lines. Since this is applicable, you should be able to see clearly these lines no matter the color you choose. Almost all self-healing cutting mat claim to be strong and durable, only a few including Crafty World lives up to this expectation. Depending on your need and the size of your project, Crafty World Self-Healing Cutting Mat is available in three different sizes; 9 by 12”, 12 by 18”, 18 by 24”. Immediately after each cut, the mat heals itself, you need not do anything to make it happen. Regardless of whether you rely on a rotary cutter or a straight blade, Crafty World is made for all type of cutters. Your blades will not go blunt, neither will your cutting surface be affected in the short and long run. You can only store your Crafty World Cutting Mat flat. When your cuts are deeper, it may take some time to heal. Nonetheless, the clearly demarcated grid lines and the thickness of the cutting mat will always be a strong quality. If you are looking for a Large cutting mat for sewing or quilting, Crafty World Self-Healing Mat is should be on your list. The excellent reputation of the Olfa brand is still obvious with their self-healing rotary mats. Exclusively made for hardworking and creative individuals who require the right tools to bring their ideas to life. You can never get your blades blunted or your work surface damaged with this rotary mat beneath your craft, that’s exactly what it does. Don’t look at the 1.5mm thickness, it will still withstand the sharp edges of your blades and cutters. Most importantly, the record time in which both sides of the cutting mat reseal itself is exceptional. No matter how tricky your design may appear, there’s always a way out with the detailed measurements on the rotary cutting mat. One con that has continued to bother users that I talked to is the strong chemical smell which despite harmless continue to linger for a while. Looking beyond this little shortcoming, this rotary cutting mat is recommended for large-scale cutting of fabric. Meet the very popular cutting mat made by a company with pedigree and reputation of quality. One thing that set this cutting mat aloft amidst others is the multitude of choice when it comes to sizes. There are 9 size variants you can choose from depending on project size. Exclusively made from Vinyl materials which is the reason for it self-healing nature and durability. The high-density nature of the material provides the strength the cutting mat needs to withstand everyday cutting. On one side are the black colored surface and the other green with clear markings. Looking at the 3mm thickness, this is one strong point to applaud Alvin for. One other plus in the cutting mat is the hanging hole which makes storage easier. Hence, no need for ruffling or folding. One top shortcoming is the absence of markings at the edge to make measuring easier. You may need to consider your climate and weather also as this cutting mat becomes stiffer in warm/hot climates. A perfect choice when you need a cutting mat on a low budget and plenty of sizes to choose from. The grey color might look dull and serious but that shouldn’t be a problem as it means fewer distractions. Unlike other cutting mats, Fiskars didn’t create it for any specific craft, but it has found a home with those involved with fabrics. One aspect of Fiskars Self-Healing Cutting Mat, that any user will find extremely useful is the clearly printed 30, 45 and 60 degrees marking. This makes cutting out specific shapes and designs easier and swifter. The size of the cutting mat is obviously an advantage as it can accommodate large projects without a need for more space. Being a dual-sided cutting mat, you can always rely on either of the sides for a one attempt cutting. Put your mind at rest also, as it is non-slippery even on a smooth working table. One thing stands out as the only con; the dull color. For some that shouldn’t be disadvantaged as it still does what it is meant to do. By the way, crafters, sewers, and quilters have a perfect cutting mat to rely on. Perfect for any task with the easy measuring lines or markings. Growing in popularity and pedigree, Arteza went the extra mile to deliver what should be called excellent. This is not just an ordinary cutting mat but one meant to serve users whenever it is needed. Among the numerous features that stand it out is the anti-glare and non-slippery surface. You can always stare at the markings while working and place it on every smooth surface, it will always stay in place. Even after shallow cuts, it will self-heal in record time. To make it extra durable, it is triple layered and made 3mm thick. Your workspace and cutter are also going to stay sharp and unaffected by the use of this rotary cutting mat. There are also numerous grid line angles to make cutting convenient. Despite the thickness yet it is still flexible without any warping. Looking at the downsides which bother only on markings, it could have been more detailed. One feature that makes this cutting mat stand out is the triple layer, which guarantees long-term usage. It goes beyond just protecting your cutting instrument and cutting tables, but getting it accurate with measurement and cuttings. That’s what makes you a professional and US Art Supply Cutting Mat is one way to get it right. 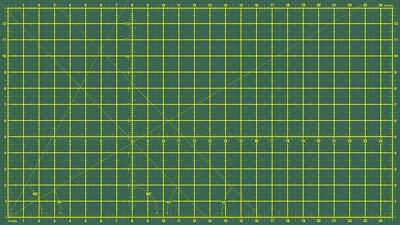 On the double-sided cutting mat are clearly printed and detailed grid lines that bring out an expert out of a novice. Either you use the 45 degrees or the 60 degrees, you will always get it right with your measurement and designs. Don’t be surprised to know that this is a 5-layer cutting mat, that’s to show how durable the mat will be in the long term. Even with repeated and everyday use, the cutting mat is resilient enough to always put itself back into the right shape. The smell might linger on for days and in my opinion, it looks 1” shorter than claimed. Nonetheless, a cutting mat of this price and quality needs to be on the working table of every scrapbooking craftsman. Double sided; green and black. If you are into a lot of crafts like scrapbooking, sewing, quilting, or so, I would recommend Crafty World Self-Healing Mat. If you don’t want to spend too much on a self-healing cutting mat or wants many sizes to choose from; go for the Alvin Professional Cutting Mat. Need some consistency in your tools, quality, and detailed design, Fiskars Self-Healing Rotary Cutting Mat will work for you as a professional. I ‘ve made your choice easy, it’s left to you to make the decision. If you have any question use the comment box. Don’t forget to share if this review was helpful to you!